British women are paying a shockingly high price for motherhood as they are forced into lower-skilled, part-time work after having children, according to the findings of our new survey with Netmums. The poll of over 1,600 part-time working mothers revealed almost half (48%) of mothers on low to middle incomes take a lower-skilled part time job on their return to work after having children. Even those mothers that held a degree could not find work which paid a salary commensurate with their skills: 42% of degree holders said they had taken a less skilled job because of working part time. Among all income groups, the majority of women with young children working part-time have made a positive choice to do so in order to better balance family commitments with the financial imperative to work and, in some cases, their desire to continue their careers. However, it is clear from the responses that women in the higher income group enjoy greater freedom in the choices they make than those on lower incomes. The financial pressure facing families on below average incomes means that more of them feel that their choices are constrained and would choose to work longer hours if it made more financial sense. As it is, many of them would be no better off if they extended their hours because of the high costs of childcare. Furthermore, the financial need to work means that more of them are forced to take jobs that are below their skill level than women in higher income families. What emerges from the survey is that women in different income groups face different challenges that need different responses. While those in the higher income group would benefit from more affordable childcare and greater job flexibility, their main challenge is finding part-time work that matches their skill level. This reflects the fact that part-time employment is concentrated in low paid, low skill sectors. Higher skilled jobs tend to be offered on a full-time basis or four days a week. Some respondents said that, while they had wanted to work only three days, their employer would not accept such an arrangement. For women on low to middle incomes and for those on the lowest incomes, the priorities are different. Their priority is to work longer hours to alleviate the financial pressure on their family budget but they are hampered by the high costs of childcare and the lack of more flexible full-time employment options. While there has been significant growth in flexible employment since the introduction of the right to request in 2003, part-time remains the most common type of flexibility offered by employers.15 More flexible options that are compatible with longer working hours, for example term-time only, compressed hours and working from home, are less common but would provide mothers with greater opportunities to increase their hours, while still being able to fulfill their family commitments. Based on the results of this survey, there are three changes that could significantly improve the working lives of mothers with young children: greater access to affordable childcare; access to more flexible employment opportunities; and access to well paid, high skilled employment on a part-time basis. 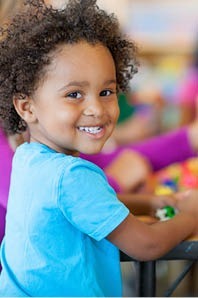 While securing additional investment for childcare is challenging in the current fiscal environment, restoring the pre-April 2011 levels of childcare support through the tax credit system should be a priority when new funding is available. This would significantly improve the work incentives for single parents and second earners on low to middle incomes. While employers have made significant progress in meeting the needs of employees for flexibility, there is a need to look beyond simply part-time employment to provide a greater range of flexible working options such as compressed hours, home working and term time only hours. These flexible options needs to be offered to fathers as well as mothers to help families as a whole balance work and parenting commitments. In addition, there is a strong economic and business case for employers to develop more part-time employment opportunities at all levels of the workforce not just in low skilled, low paid sectors. This will ensure that women with skills and experience remain in the workforce after they have had children, benefiting household living standards as well as the economy as a whole.